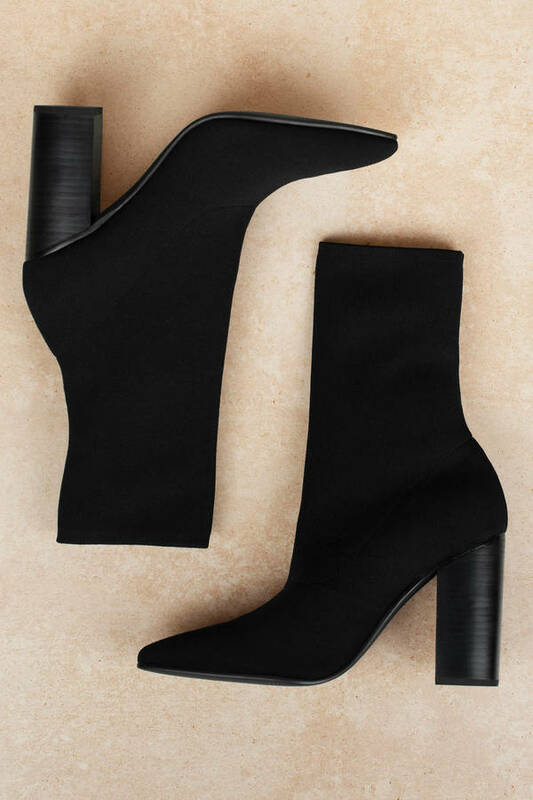 Check out Tobi's Danni Mid-Calf Sock Booties Sol Sana's Danni Black Mid-Calf Sock Booties are pure heaven. 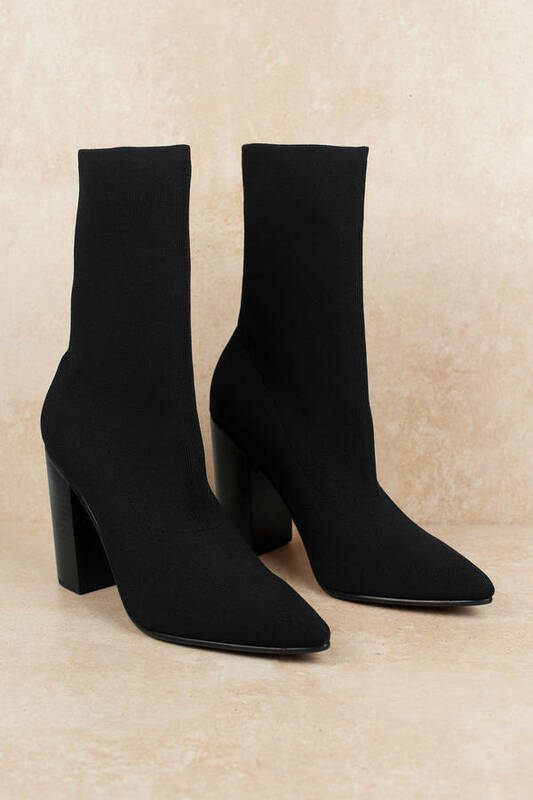 These pointed sock boots feature a pull-on design, mid-calf construction, chunky block heel, sharp pointed toe, and leather insole for extra comfort. Whether you're showin' off your fave sweater dress or need that last finishing touch for your 'fit, reach for these designer pointed boots and you'll be set. Sol Sana's Danni Black Mid-Calf Sock Booties are pure heaven. 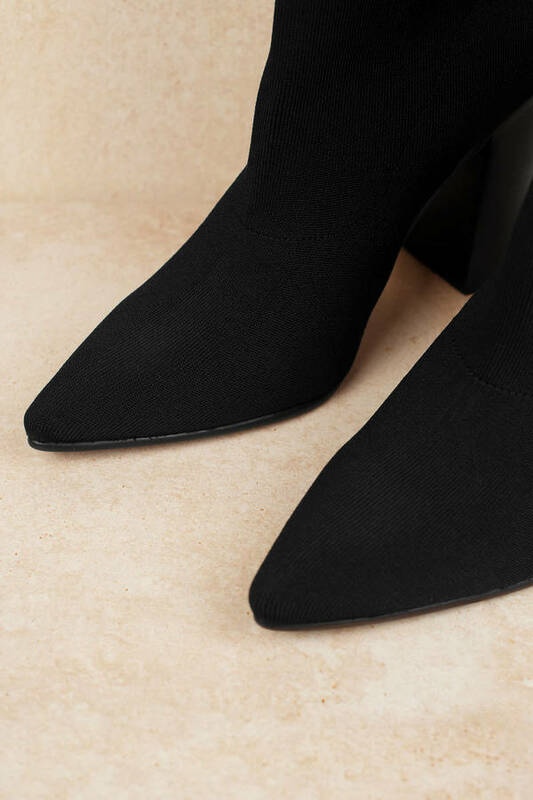 These pointed sock boots feature a pull-on design, mid-calf construction, chunky block heel, sharp pointed toe, and leather insole for extra comfort. Whether you're showin' off your fave sweater dress or need that last finishing touch for your 'fit, reach for these designer pointed boots and you'll be set.